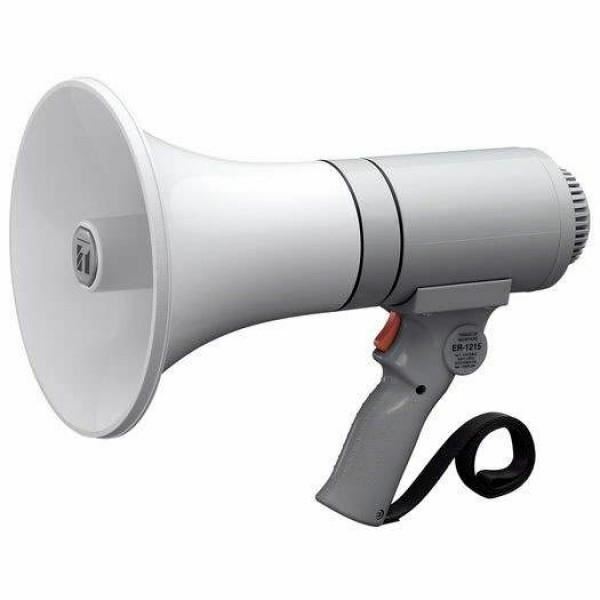 TOA portable power megaphones are available in different configurations to meet different user needs. Every model now has been treated for antibacterial properties to cope with use in multi-user environments. From light and compact configurations to high-performance shoulder-mounted types, TOA power megaphones offer exceptional reliability and performance. The Toa ZR-2015S is a shoulder megaphone rated at 15w of output. The Toa ZR-2015S comes with a whistle and has a separate microphone. It can be mounted to the optional ST-16A speaker stand. Microphone with anti-bacteria treatment improve hygiene and safety during use. The newly developed polyimide diaphragm is employed to ensure high sound quality.